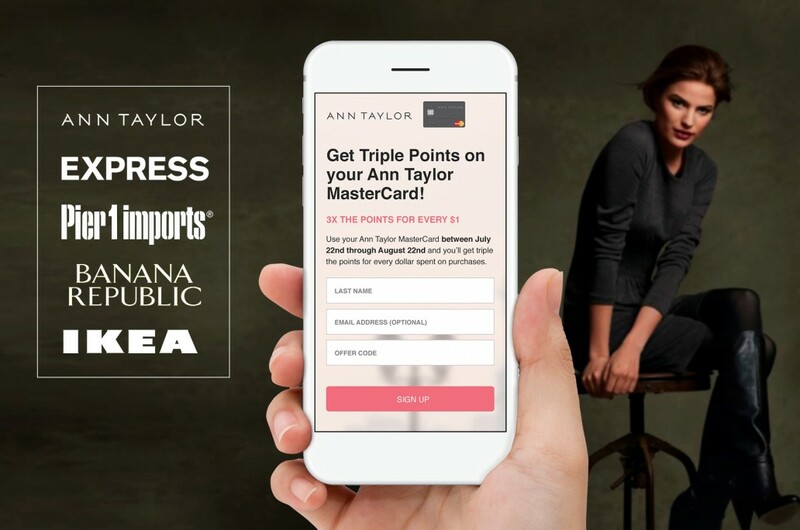 When an Alliance Data Card Services customer such as Ann Taylor, Express, Pier one imports, Banana Republic or Ikea wants to boost store visits and private label credit card spending, they would run limited time promotions and bonus offers for card holders. However, retailers had no way of rewarding only those shoppers influenced by the promotion and instead were spending millions of dollars rewarding cardholders who intended on making purchases regardless of the promotion. 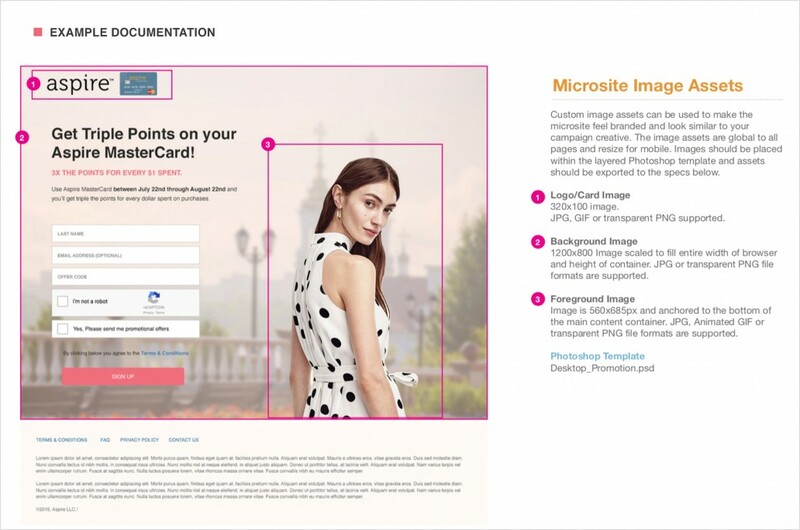 Epsilon’s solution was to create a web application that allowed ADCS customers to limit the delivery of bonus awards to cardholders who acknowledged the promotion and opted into the offer. 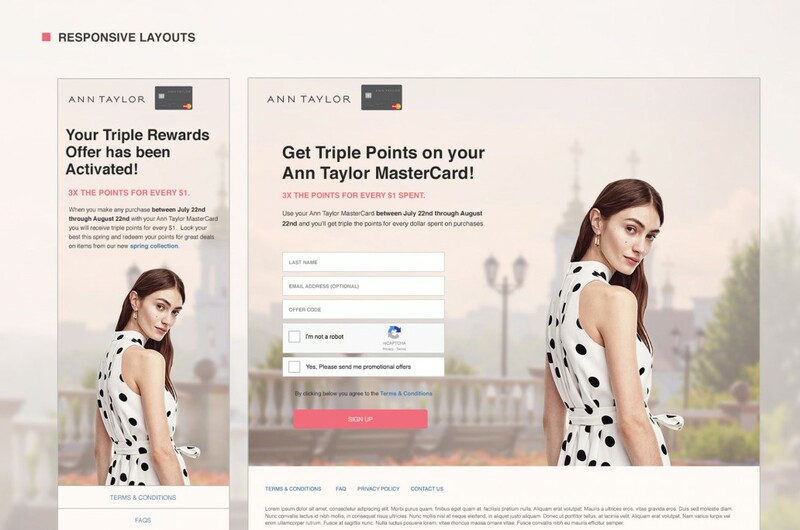 The responsive experience can be fully customized to meet the unique brand standards of each card services client and used to run multiple promotions at once. 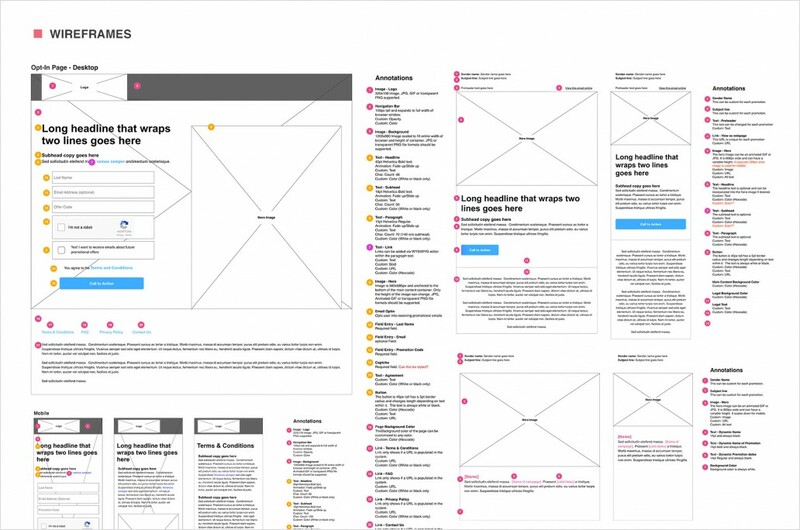 Over 23 customizations could be configured through the content management system including light and dark themes, fonts, colors, copy, images, and URLs throughout the experience. 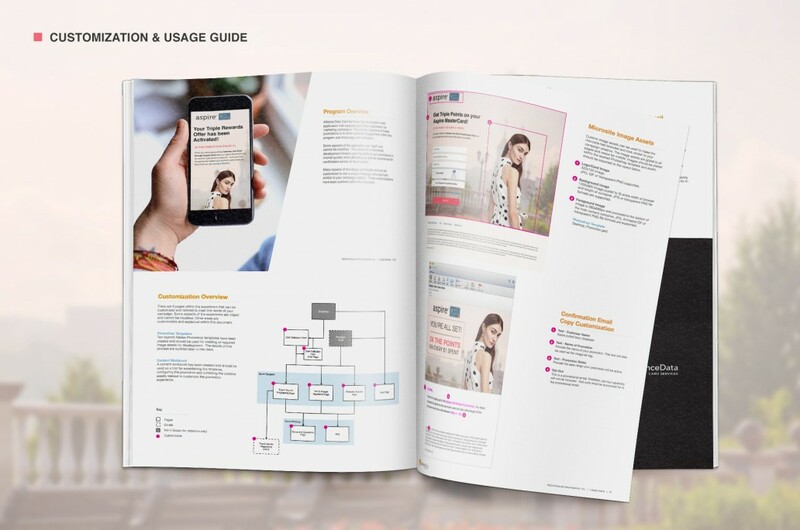 A usage guide was created to explain how to use the application and outlined how and where a brand could customize the experience. 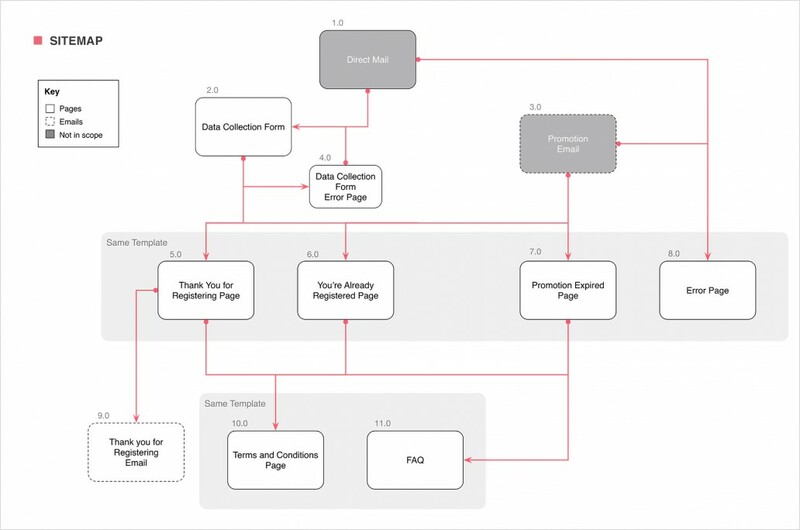 This was provided to customers in conjunction with a Content Workbook that could be used as a tool for establishing timelines and configuring the promotions.